Centre Val de Loire (known to the British as the central Loire valley) is one of the largest regions in France. It is situated in the heart of the country and marks a north-south divide between the urban and the rural and the cool and the warm. The region capitalises on its central location and incorporates the very best of French cuisine and culture. The Loire, which runs through the region's major towns of Tours, Blois and Orléans, is France's longest River and completely bisects the region. Blois and Orléans have been named the second and third best places to live in France by French magazine, Le Point. The region has always had a reputation for bourgeois prestige, attracting artists, poets and writers throughout the centuries. In the 13th century, Orléans had the distinction of being France's intellectual capital. Not to be missed are the region's many chateaux. These are said to be the most beautiful in existence. The region is also awash with many diverse and delicate flowers attracting botanists the world over. The region has good communication links in the form of motorways and TGV trains, which serve routes to Paris, Poitiers and Bordeaux from the Loire valley. Airports to use with direct flights to/from the UK include Tours, Poitiers, Limoges and Paris. The region is completely unspoiled by tourism or industry. Many Parisians have already chosen parts of the Loire Valley for a second home. The Indre and Cher regions tend to offer very good value with some of the cheapest property in the whole of France located here. However, prices vary and do tend to get quite expensive nearer the main towns. Do you know Central Loire Valley better than we do? Do you have photos of Central Loire Valley? The department of Cher benefits from peaceful countryside, charming towns and fine wines. This is still a relatively undiscovered area of France despite its relative proximity to Paris. Plus, property prices do not live up to the department's name making this an excellent location for a tourist business. The Eure-et-Loir's agriculture and industry is driven mainly by the growing needs of the nation's capital not too far away. Even Chartres' magnificent cathedral is surrounded by wheat fields, which incidentally also makes a great postcard. The Centre Val de Loire region is home to great chateaux, interesting cities and of course the Loire valley. With good transport links and a temperate climate the Centre Val de Loire makes a very sensible destination. The area also contains some of France's best property bargains. Situated in the very heart of the Loire Valley, the stunning landscape of the Loire-et-Cher department abounds with grand chateaux, idyllic villages and bustling towns. Taking its name from a small tributary of the river Loire, Loiret is a charming department that has not lost its rural, small town feel despite being so close to Paris. The capital, Orleans, is a lively and modern city wrapped up in history. Remarkably its ancient buildings escaped much of the carnage of World War II. Aigurande is located in the historical Berry District of the Loire Valley. It is 50 km away from Châteauroux, the departmental capital and has a population of just 1668 inhabitants. Many of its old streets and historic buildings have been preserved well. The charming town of Amboise is found in the Indre et Loire department of the Centre Val de Loire, in central France. Famous for having once been the home of Leonardo da Vinci, the town has a grand chateau and many interesting historical buildings, and lies on the banks of the River Loire in the classically beautiful countryside of the Loire Valley. A lively atmosphere prevails around Argenton Sur Creuse, which some people have compared to Italy's Venice. Find out what makes this small town stand out in the Centre Loire Valley. Situated in the Indre department of the Centre Val de Loire region in central France, the village of Bélâbre is ideally placed for enjoying the many attractions not only of this region, but also of nearby Limousin, Poitou-Charentes and the northern Auvergne. It's a pretty village, well equipped with shops and services, and close to a beautiful leisure lake. The town of Blois, capital of the Loir-et-Cher department of central France, is probably known best for its wonderful chateau, although it is, in its own right, a lovely and fascinating mediaeval town. Lying on the right bank of the River Loire, Blois, once a favourite residence of French royalty, retains an air of past grandeur and is one of France's most historical towns. The lovely city of Bourges, capital of the Cher department in the heart of France, is a true city of art and history, which exerts its considerable charm on all who visit. With a great diversity of areas within the city itself, Bourges has something to offer everyone, and its position in the centre of the country renders it perfect for further exploration. Bourgueil is a town whose name is known to many because of its superb wines, being among the most respected AOCs in France. The town itself, which lies amid the vineyards and lush chateaux-dotted countryside of the Loire Valley, is extremely appealing. Chaillac is a pretty, rural town which is located in the Indre department of central France. Once an important mining centre for barite and fluorite, today Chaillac is an attractive market town, an ideal retreat from UK life and a perfect base for discovering the beauty and history of this lovely area of France. Chartres is dominated by its exquisite twin-spired 13th-century cathedral which attracts thousands of visitors each year. The River Eure, which acts as the citys' spine, offers beautiful walks and boat trips for views of the cathedral and the old section of the city. The town of Châteaumeillant is situated in the very heart of France, almost directly in the centre of this huge and diverse country. As a result, Châteaumeillant is classically French, and is also a very significant wine producing town. The central situation also means that the town is ideally placed for communication routes to all parts of France, and it also makes a great business location. Châteauroux, principal town and cultural heart of the Indre department of France's Centre Val de Loire region, is a pretty and tranquil place yet only a couple of hours drive south of Paris. The town has a rich and varied heritage, and is a focus for many festivals and cultural events throughout the year. The ancient town of Châtillon-sur-Indre is found, as its name suggests, on the River Indre, which flows through the heartland of France, in the Centre-Val-de-Loire region. Châtillon-sur-Indre is a town of significant charm, and fulfils the expectation of a classic French town of its region, set as it is amidst the magnificent castles and churches which take pride of place in the peaceful landscape. The town of Chinon is located on the lovely River Vienne in central France, in the Indre et Loire department of the Centre Val de Loire region. The town boasts a ruined but still impressive chateau, and is also noted for its fine wines and great central location which makes it a perfect base for exploring this historic and beautiful heartland of France. Culan is lovely old village set against the green and glorious countryside of the Cher department of the Centre Val de Loire region of central France. Dominated by its stunning mediaeval castle, Culan has handy shops and services as well as access to many outdoor activities. The unspoiled village of Éguzon-Chantôme, in central France, is the perfect place for lovers of lakes and wildlife. The enormous dam which creates Lake Eguzon is a dramatic sight, and the resulting lake is a paradise for water sports enthusiasts, ornithologists and walkers. Issoudun is a small town in central France whose mediaeval history sits hand in hand with its healthy economic development in a modern world. Remnants of its fortifications still exist, and these give a very real sense of the town's rich heritage. Yet Issoudun is also very well adapted to the today's world, and offers all mod cons and a superb quality of life. La Chatre is a pretty tourist town located in the South of the Indre. Property here is still fairly cheap, however. It's a great place in which to relax and spend time. The town has great sports facilities. Langeais is set amid the vineyards and chateaux of the Centre Val de Loire region in the heart of France, in a land with a royal history and great traditions. The landscapes near the town offer a wealth of interest, with not just fairytale castles and vines but troglodyte cave dwellings, great rivers and lakes, beautiful forests and the rich culture of the Touraine. The little village of Le Menoux sits in the lovely and lesser visited department of the Indre, in the Centre Val de Loire region of central France. Unspoiled by tourism, the region nevertheless offers many delights with some of France's prettiest villages around and glorious scenery, perfect for that relaxing holiday or peaceful life in the country! The medieval town of Levroux remains fairly quiet as far as tourism goes. Farming is the main industry. There is very easy access if you want to get to either Paris or the South. Loches is a picturesque town sitting right on the banks of the river Indre. 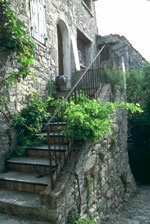 Property prices are very reasonable here with plenty of options for those keen on finding a renovation project. Nogent le Rotrou is an authentic and atmospheric old market town that is located in the north of France, some distance south-west of Paris. It is notable not just for its undeniable charm, but also for its impressive chateau, now a museum. The city of Orléans, famed for its connections with Joan of Arc, is the capital of the Loiret department of northern central France. A bustling, modern city, it nevertheless has an interesting and ancient history, and these two ages are found existing harmoniously side by side in Orléans today. It is, of course, the city of Jeanne d'Arc, or Joan of Arc, and any visitor to Orléans will find evidence of this connection everywhere they look! The little village of Orsennes is found in the peaceful beauty of the Indre department in central France. The village has a 15th century castle as its main landmark, and is set in unspoiled countryside. Richelieu is a stunning, walled town that is found in the department of Indre et Loire. Modelled on the bastide towns of southern France, Richelieu was built in 1631 in honour of (and commissioned by) Cardinal Richelieu. Architecturally and historically fascinating, the town is also surrounded by beautiful countryside and within reach of many attractions. Saint Amand Montrond is a town that lies on the banks of the River Cher, in the department of the same name. The countryside around the town consists of marsh land and agricultural land, both pasture for cattle and fields for growing cereal crops. Saint Benoît du Sault is a picturesque mediaeval village that lies in central France, in the Indre department of the Centre Val de Loire region. Perched high on a hill, this little village overlooks the Portefeuille River, and is classified as one of the most beautiful villages in France. Saint Plantaire is a very pretty and tranquil village lying in the beautiful countryside of the Indre department of central France. The surrounding countryside has enchanted many artists and sculptors, and much of their work can be seen in Saint Plantaire. The little market town of Sainte Sévère sur Indre sits in central France in the Indre department of the Centre Val de Loire region, where the landscape is dotted with chateaux, ancient churches, historic towns and an open, rolling countryside. The town itself is historically interesting and has a stunning market hall among its various sights and heritage. Tours, the principal city of the Indre-et-Loire department of central France, is a large and dynamic city, known for the elegance of both its buildings and its spoken French! With such a reputation one might expect it to be stuffy and uninteresting, but this is far from the case. Tours is a university town, a town of tourism and commerce, a town which really does lie at the heart of French life and France. Valencay, with its impressive castle and gardens, has been a popular spot for French kings over the ages. The town is situated in the heart of the Loire Valley making it conveniently placed for both Parisians and foreign buyers. Vatan is situated in an incredibly attractive part of the Loire Valley and is home to 2000 inhabitants. Property prices are above the national average due to the popularity of owning a second home here. 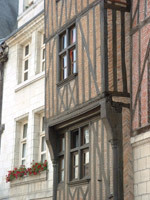 Vierzon, with a population of around 30,000, is located in the historical Berry area of the Loire valley. Berry is considered by many to be the most scenic part of the Loire valley thanks to its rolling hills and open countryside, unspoilt by mass tourism. WHERE IS Central Loire Valley? Conveniently placed in the centre of France with the benefits of being within easy reach of Paris. WHICH DEPARTMENTS ARE IN Central Loire Valley?